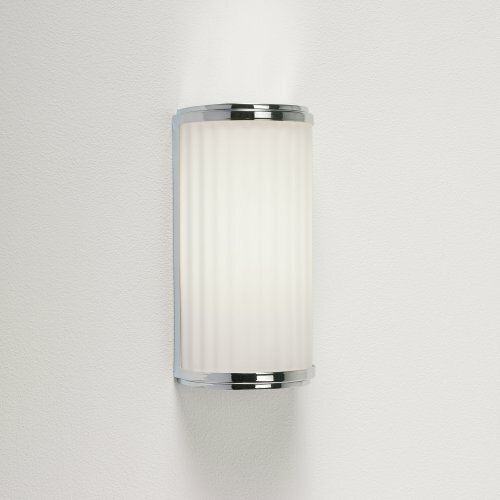 The Monza 250 wall light by the manufacturer Astro Lighting was perfectly conceived and designed for the installation in the bathroom. Due to its elongated shape, it is ideally suited for mounting next to the mirror. The degree of protection IP44 provides reliable protection against moisture and humidity. The frosted glass creates a pleasant, even lighting atmosphere that flatters its surrounding area.